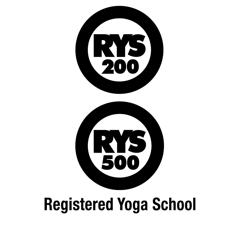 The GAVY 200 Foundation Certification is foundational training for serious practitioners and aspiring teachers, based o­n the traditional form of Ashtanga Vinyasa Yoga. The way that GAVY founder, Michael Gannon, learned it during 10 years of visits to India, training with the living Guru, Sri. K. Pattabhi Jois. BUT, we take a giant step forward, making this system digestible for the western mind. This GAVY 200 Teacher Apprenticeship foundation program has graduated over 250 teachers from 30 countries to teach yoga. It is based on this fascination that the GPVY 300 Advanced Yogi Studies Trainings are being launched! After 10 years of teaching the GAVY 200 Teacher Apprenticeship Foundation Course, there has developed a desire to go beyond by offering hungry teachers and students a structured format/system to increase their accreditation to the 500 hours level. One that is recognized worldwide by Yoga Alliance as well as The Yoga Alliance UK. Yoga has grown SO much in the past 10 years! And there doesn’t seem to be any stop to it in the near future. Previously, curious practitioners needed to travel to the big cities to grow their yoga . Not anymore! We now see yoga studios, international teacher workshops and retreats popping up in all the smaller/regional cities and communities around the world.